No Man’s Land is a phrase used to indicate disputed or unoccupied territory. It was used to both justify territorial conquest and to refer to places that were dumping grounds for refuse. 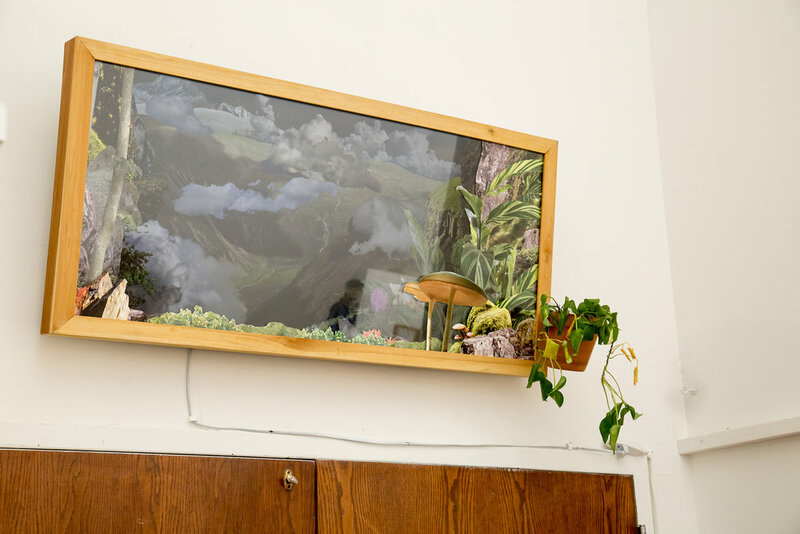 Three artists have come together to present work on the relationship between the human gaze and terrain that is both real and imagined, inhabited and free. 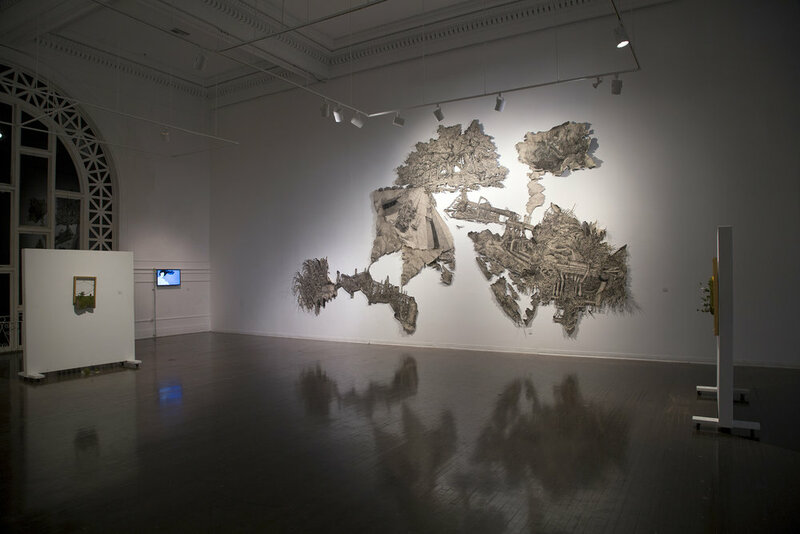 Hannah Chalew, Dan Rule, and Michel Varisco present a diverse range of approaches and media from drawings on handcrafted paper made from sugarcane and plastic, to new media/video installations, to tableau-style documentary photographs. 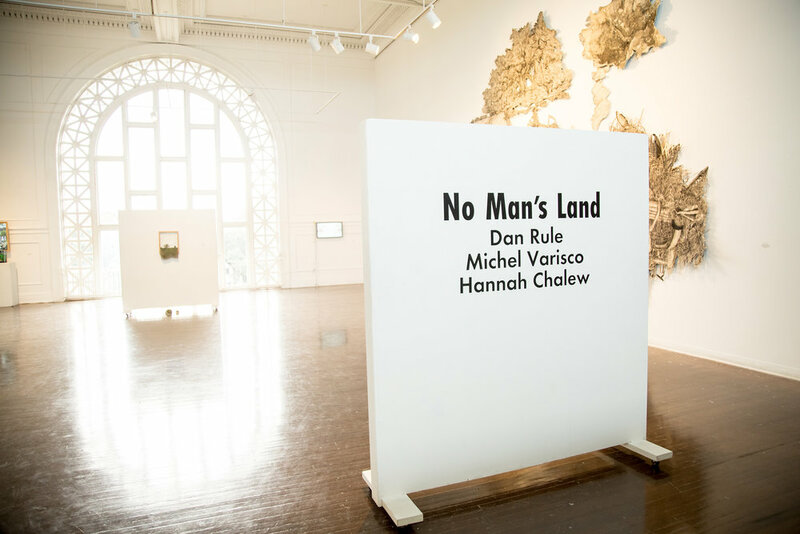 Each artist in the show has depicted landscapes devoid of people, literal “no man’s lands,” but bearing strong signs of human imprint and disturbance. 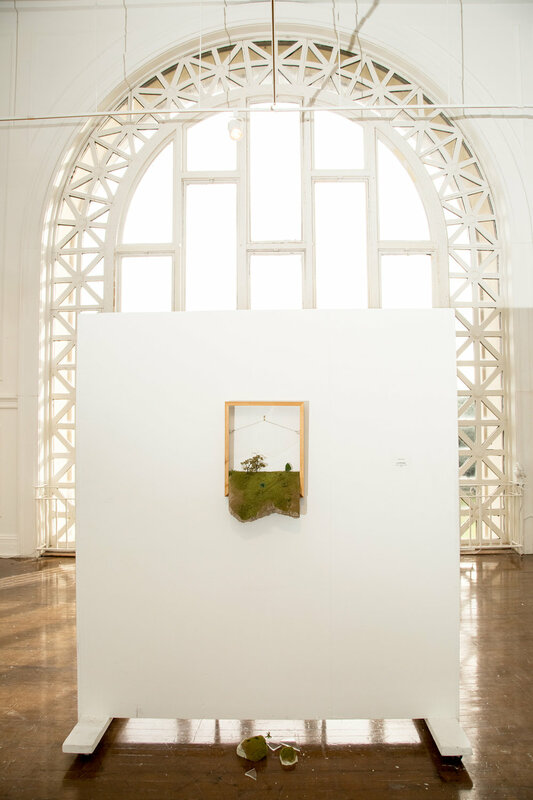 Through their works, the artists ask the viewer to consider how our relationship with the environment on an individual and collective level has led us to where we are today and what the future for both humans and the land will look like. 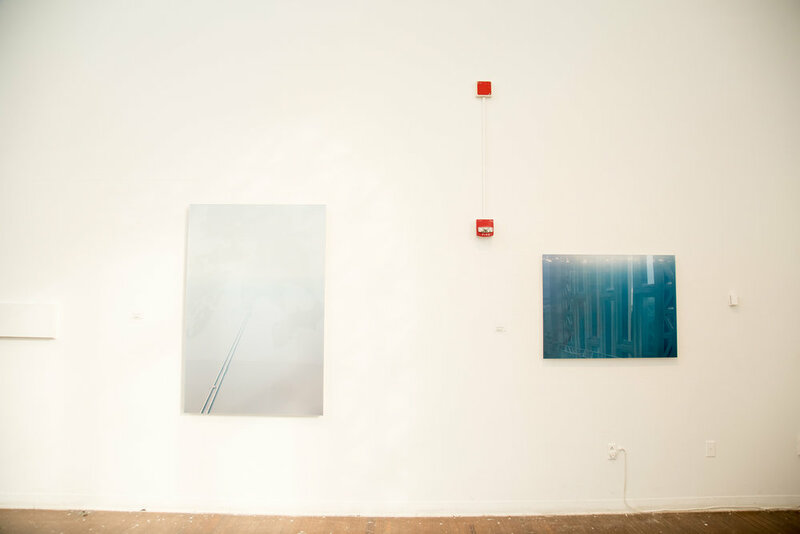 As a prompt for creating a viable future, the artists purchased a renewable energy certificate (REC) which allows electrons from Bull Creek Windfarm near Lubbock, Texas into the grid equaling that of the Isaac Delgado Gallery’s month long use of electricity based on the square footage of the space. The opening night of the show we coordinated with 350 New Orleans to have their monthly meeting following the opening. They hosted a conversation called “Goodbye to the Boot with writer Brett Anderson on his article “Louisiana Loses the Boot” about the changing nature of Louisiana's iconic boot shape as it becomes rapidly outdated in a state on the frontlines of coastal land loss and climate change.